Stefanie Haustein is a post-doctoral researcher at the Canada Research Chair on the Transformations of Scholarly Communication with Prof. Vincent Larivière at the University of Montreal. Her current research focuses on social media in scholarly communication and making sense of so-called “altmetrics” and is supported by a grant from the Alfred P. Sloan Foundation. Stefanie holds a Master’s degree in history, American linguistics and literature and information science and a PhD in information science from Heinrich Heine University Düsseldorf, Germany. Her doctoral work focused on the multidimensional evaluation of scholarly journals and was awarded the Eugene Garfield doctoral dissertation scholarship in 2011. She has previously worked as a research analyst at Science-Metrix in Montreal, Canada and in the bibliometrics team at Forschungszentrum Jülich, Germany. 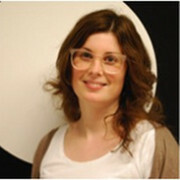 Stefanie frequently presents her work at international conferences and has published in journals such as JASIST, Scientometrics, Journal of Informetrics and PLoS ONE.